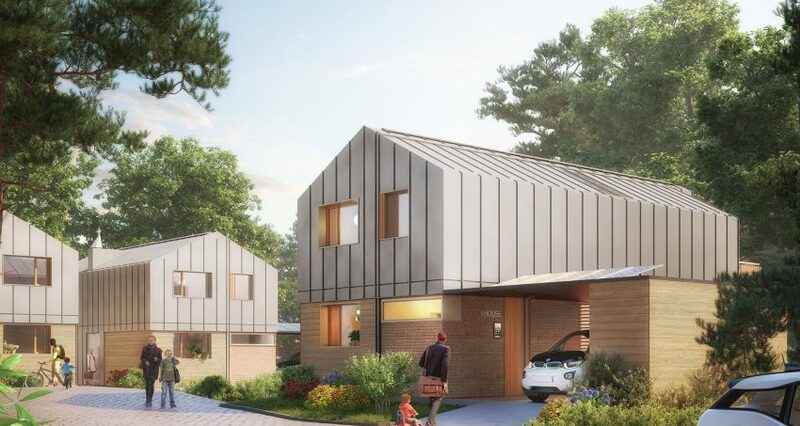 Last summer we announced our partnership with nHouse, a manufacturer of prefabricated, sustainable homes, and nHouse confirmed that Powervault storage systems will be installed in all newly constructed homes. This month, production in the new nHouse factory in Peterborough will begin. The company are expected to build up to 400 prefab homes a year. The modular home, factory built from Cross Laminated Timber and transported to site in four separate parts, is clipped together on site. The construction in the factory takes 20 days, and it’s only half a day to assemble the home. The Powervault will improve energy efficiency alongside other sustainable features, including solar roofing, rainwater harvesting, recyclable building materials, and high insulation. The hi-tech homes boast futuristic elements such as smart mirrors and even a drone landing pad. The first sites for the nHouse estates have already been identified just outside of Winchester and Plymouth and new homes are expected to be built later this year.